Our contest DesignWinMake is ready to start again, this time focused on 3D printing. 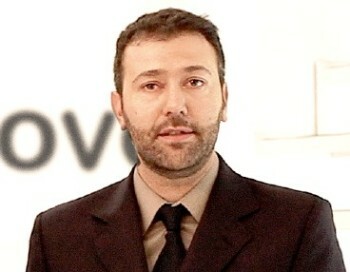 So it's time to (virtually) meet our jury and we're starting from Fabio Ciciani: he is co-founder of .exnovo, an italian design brand manufacturing exclusive products via 3D printing techniques. The company is working, with good results, on combining craftsmanship culture with technological development. Fabio, what do you expect from the projects submitted for the contest? I'm expecting proposals reflecting the maturity achieved by 3D printing sector and which will express clear awareness and planning expertise. Solutions with a practical and thorough market approach. Which elements do you think determined 3D printing's success in the last years? Based on our experience, I'd say that this success comes from three key elements: projects customization, which allowed for the growth of more and more custom-made objects; a new aesthetic, which made possibile to investigate shapes unfeasible until now without resorting to molds, which limited object's manufacturing; last, a new freedom of design. Is there any object which fully represents this success? Afillia lamp by Alessandro Zambelli, definitely. We introduced it in New York a few months ago: it borrows a typical botanic concept (a leafless plant) and in my opinion symbolizes the perfect mix between 3D printing technology and the most evolved concept of craftsmanship. Is there a Maker's distinctive tract, especially for italian Makers? For sure an ability to face planning issues with solutions characterized by the typical quality of Made In Italy creativity. It's an attitude which tells us apart from the rest of the world, coming from an unique cultural background. We can solve planning problems with an absolutely 'original' inventiveness. What does .exnovo have in store for the next months? Our 2014 will be dedicated to contamination. We're working on manufacturing objects which will mix materials coming from the typical Made In Italy artisan practice with 3D printing technology.